FIGURE 4-2 Structures of OT, arginine- or lysine-VP, and argi-nine vasotocin. activity, as deaminooxytocin is more biologically active than OT. Replacement of Leu8 with lie reduces activity. If Gln4 is replaced by Glu, the hormone is inactivated. 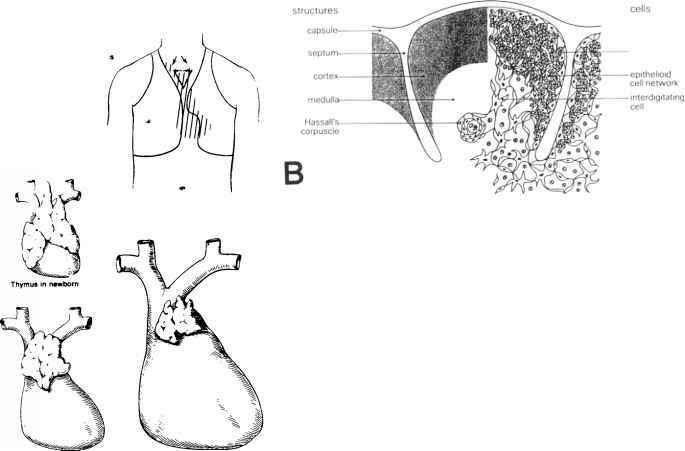 In Arg-vasopressin (AVP), the basic side chain (Arg8) is essential for antidiuretic activity and explains the lack of the crossover effect of OT. Another point of difference is the amino acid residue at position 3. The crystal structure of deaminooxytocin has been solved, and models derived from this analysis are shown in Figure 4-3. Not only are these differences in structure sufficient to guarantee specificity at the receptor level, but oxytocin does not respond to changes in osmolarity that would stimulate vasopressin, and large doses of oxytocin do not generate a natriuretic response. Furthermore, it has been demonstrated that the releases of oxytocin and vasopressin can be initiated separately by estrogen and nicotine. Thus, in spite of structural similarities, these hormones are signaled separately and function distinctly. 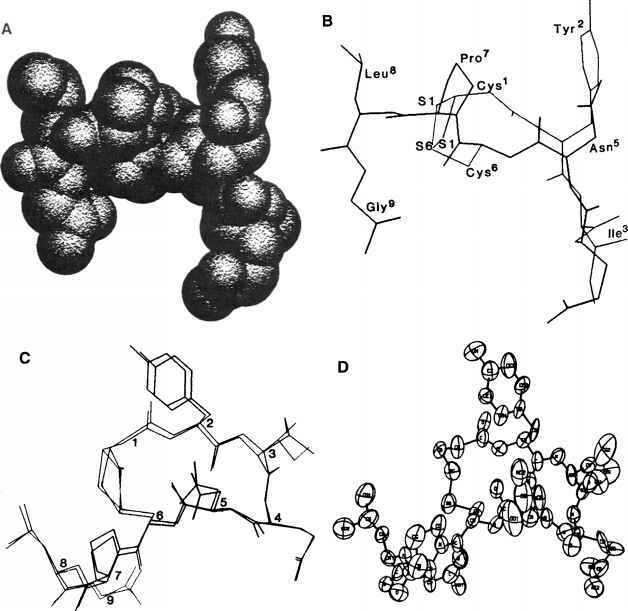 FIGURE 4-3 Structures of deaminooxytocin derived from X-ray diffraction analysis: (A) space-filling model and equivalent stick model (B). This shows the "pleat" of the 20-membered ring and the accentuation of this form by the "tail" peptide and the Gln4 side chain dispositions. In (C), the two molecules of the P2 asymmetric unit are shown superimposed to demonstrate the two conformations in the SI region, the associated Ile3 rotamers, and other conformational differences. One disulfide chirality is shown in (D). Reproduced from Wood, S. P. et al, (1986). Science 232, 633-636.
pineal gland (Chapter 18). AVT appears to be the ancestral precursor of both VP and OT. A scheme showing the evolution of these hormones appears in Figure 4-4. Two neurophysins (NPs) have been reported in the pineal gland. NPs are proteins derived from the same gene product as either VP or OT in the hypothalamus.